(Trent Nelson | The Salt Lake Tribune) Belgica Alvarez, Tinesha Zandamela and Breasha Morris are members of Brigham Young University's Women of Color club on the Provo campus. The women say the club is "empowering" and "impactful." Zandamela is the club's founder. In a room filled with other women of color at Brigham Young University, Belgica Alvarez realized she had stopped noticing how often she’s surrounded by white people. 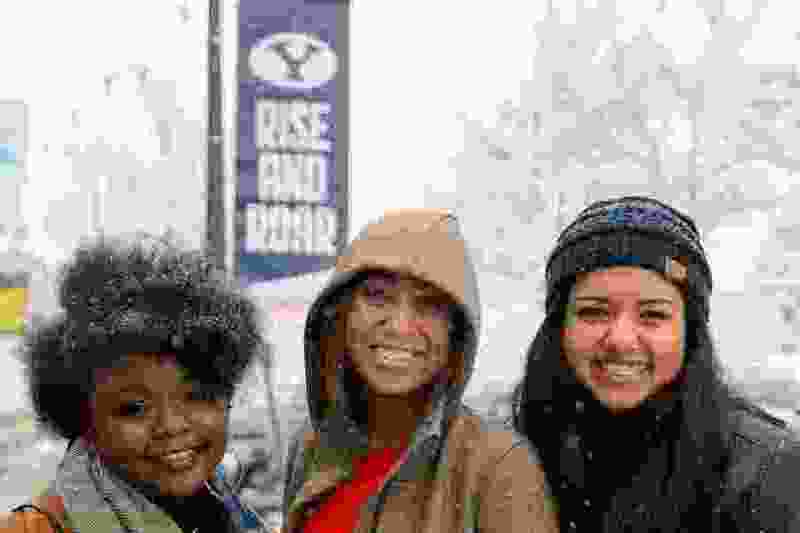 Students who have joined the Provo school’s new Women of Color club, which began meeting last fall, say it has given minority students an “empowering” space to talk about the unique challenges they face on a campus that is 82 percent white. At the same time, the university’s Idaho campus shut down its similar cultural associations in favor of academic societies, which focus on education. This means that where there was once a Mexican Cultural Association for students who shared that heritage, there is now a Spanish Language Interpreter Society focused primarily on learning goals. Students of color at BYU Provo have reported feelings of cultural isolation on campus in the past. In at least two student-made YouTube videos, one released at the end of 2016 and another in February 2017, black students said they have felt at times like “they don’t fit” at BYU. But Louise Wheeler, the club’s adviser, said the importance of such clubs extends beyond social solidarity. They can help students of color achieve academic success. There are other spaces for minority students on campus, but Breasha Morris, a senior, said the Women of Color club offers something different. Vernon Heperi, now BYU’s dean of students, first came to BYU from Kaikohe, New Zealand, as an undergrad. He said his involvement in campus organizations and activities offered him “significant support,” though he “never experienced any blatant discrimination” on campus. Today, BYU’s new club is supporting women of color on campus in a similar way, he said. 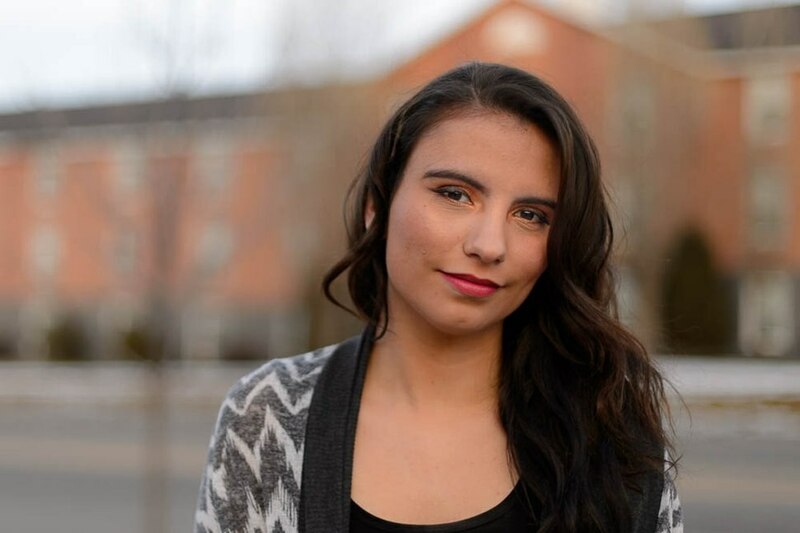 (Trent Nelson | The Salt Lake Tribune) Allison Tedford was gearing up to be a coordinator for the Latin American cultural association when BYU-Idaho announced it would no longer support cultural associations. She started a petition that garnered just over 1,000 signatures. Tedford was photographed in Rexburg, Wednesday January 17, 2018. In the first semester after she transferred to BYU-Idaho from BYU-Hawaii, Allison Tedford couldn’t shake a pervasive feeling of loneliness. The post announcing the change was on the Facebook page for the cultural associations, which has since been deleted. It garnered more than 100 comments — many of them from current and former students in opposition — and spurred Tedford to create an online petition urging the university to reinstate the groups. Though she and other students tried to foster informal gatherings last semester, it was difficult to get students organized without an official outlet, she said. Tedford noted that the associations brought together not only students from similar backgrounds but also those who were interested in learning more about one another. Donna Katrice, who was a student at BYU-Idaho in the early 2000s when it was called Ricks College, said she was upset when she heard about the change because cultural associations were an important part of her time there. As of last fall, BYU-Idaho’s campus In Rexburg was 85 percent white, according to demographic information from the university’s website. Despite the calls from current and former students to reinstate cultural associations, Brett Crandall, a spokesman for BYU-Idaho, said the transition to academic societies will ultimately help students better prepare for their careers. “The main purpose of the changes were to encourage students to spend their time networking with others and helping them with their academic goals,” he said. He noted that academic societies are “not exactly the same” as cultural associations, but said the university’s community still offers opportunities for students to find others who understand their cultures and share similar values. Though he acknowledged some students were “angry” and “disappointed” by the elimination of the associations, he doesn’t think it will create long-term challenges for students. Correction: Jan. 29, 7:35 p.m. • A previous version of this story misidentified BYU-Idaho student Allison Tedford’s role within cultural associations. She was poised to become a coordinator over the organizations, not just one club.